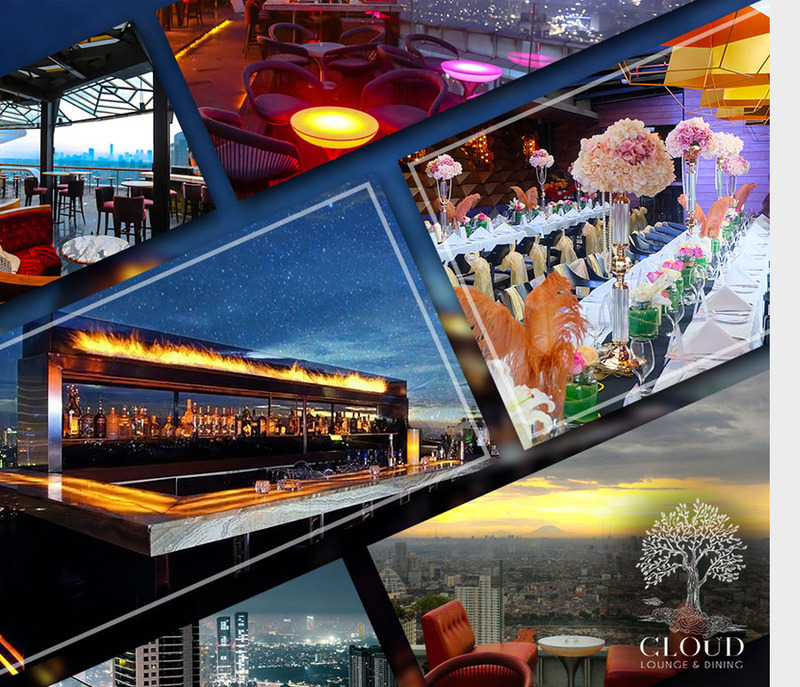 Opened in early 2014, CLOUD Lounge & Dining is located at the rooftop of The Plaza Office Tower 49th floor, offering an almost 360 degrees view of Jakarta. What’s more, CLOUD Lounge & Dining also offers a cozy place for customers to hangout and enjoy the sunset, acompany by various music genre like Chill Out, Nujazz, Nu Disco, Soulfull House dan Deep House, R&B, etc. One of the most sought after rooftop bar with VODKA ROOM as one of our signature, the one and only in Indonesia. With variety of fusion food that will indulge your tastebud. Cloud Lounge & Dining it’s a perfect go-to-place after hour.